We are looking for sponsorship of our curling teams. Sponsors who would be prepared to support us in our efforts, either financially or by providing goods or equipment. The Irish Curling Association is recognised by the Olympic Council of Ireland and the World Curling Federation (WCF). This enables us to compete as a country at international level in European, World and Olympic events. We are also moving forward in setting the groundwork to re-establish curling in Ireland and develop the sport. Sponsors would get exposure through our various international endeavours, including WCF competitions (some of which are televised), web site, social media and advertising. If you are interested in helping our competitive and development aspirations, please get in touch. Contact details are on the “Contact Us” web page. 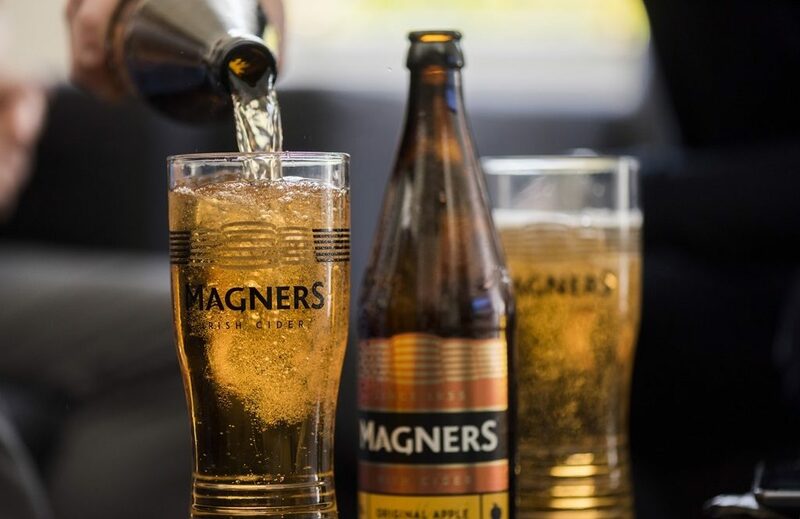 Magners Irish Cider generously provided sponsorship for our International Weekend at Stranraer Ice Rink in February 2019. Magners have been making cider in Ireland since 1935 and varieties of the drink are popular around the world. As well as providing four cases of cider for the lucky winning team, Magners drinks will also be offered as a refreshment for guests at the ICA cocktail party on the Saturday evening in the North West Castle Hotel. The Kerry Group was the main sponsor of the Irish ladies curling squad (Irish Ladies Team) for the WCF C-Division European Championship and their 2016/2017 season. They have also funded the team for a further two seasons (2019-2020). With its headquarters based in Tralee, Co. Kerry, Kerry Group is a world leader in the global food industry. Kerry provides market leading innovation through its Taste & Nutrition technologies and systems for the food, beverage and pharmaceutical markets. Kerry has enjoyed phenomenal success since commencing operations in 1972, and now markets some of the best known and best performing brands in the chilled food sector including, Dairygold, Richmond, Charleville and Yollies through its Kerry Foods branch. Kerry Agribusiness forms the third strand of the Group, which works closely with the Group’s 3,500 milk suppliers in the South West of Ireland, ensuring the efficient production of high quality milk as a source of premium quality, sustainably produced dairy and nutritional products. In addition the ladies agreed a deal which sees them join the Hardline Family (#Hardlinenation) using Hardline Power Grip brooms. The Irish Senior Mens team were sponsored by R-Wear, who supplied state-of-the-art base layers when they competed in the 2013 World Senior Curling Championships in Canada. The clothing was designed, by Colin Rea, for winter sports athletes. The Irish players wore them under their national uniform, and they have proved to be both comfortable and warm.R-Wear are a 100% Irish owned company, founded in 2002 and based in Bagenalstown, where Colin is the third generation of his family involved in the business. The Irish Curling Association were absolutely delighted that Albert Bartlett agreed to sponsor our 2012 teams in the World Seniors Curling Championships in Tårnby, Denmark. They have Irish connections through one of their partner companies, Irish Potato Marketing and we feel privileged that they should find the sport of curling to be one that fits their ethos of promoting healthy eating and naturally grown potatoes.